Buried beneath the choppy, unstable framerate and technical woes, Homefront: The Revolution boasts an intriguing near-future premise and though it didn’t score particularly well in our review, developer Dambuster Studios is keen to zero in on those issues threatening to overshadow the experience. Taking to its official blog, Dambuster acknowledged the issues at hand, reminding early adopters that it’s been a long and meandering road for The Revolution, particularly when you factor in the THQ fire sale that eventually lead to the sequel being published via Deep Silver. It has been a long road for us, and we’re only getting started. But we’re also aware that performance – particularly frame rate – is not currently where we want it to be, and we are working on additional patches to help address these issues and more. Patch notes per platform will be available on the community forums and on Steam when they go live. In the meantime, the first free content in our post-launch Resistance Mode road map has been unlocked for all players today. All 8 individual pieces of the two new Punk and Anarchist outfits, plus the Punk and Anarchist full body clothing, can be found in your character’s Gear and Clothing menu for players to customize their Fighters with. On top of that, two bonus Hail Mary boosters in your Consumables inventory offer a free instant revive to help you on your way to completing Missions on the hardest difficulty. Use them wisely! 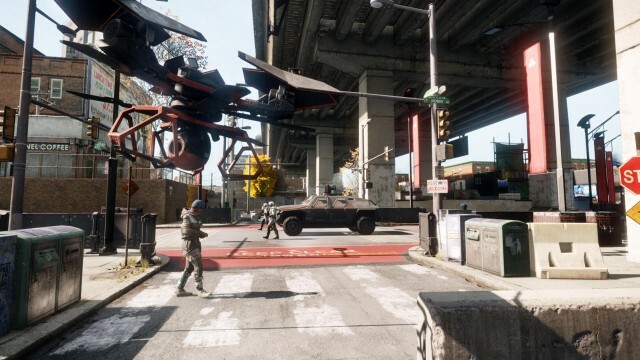 Details relating to Homefront: The Revolution‘s Season Pass surfaced earlier in the week, revealing that Dambuster has three story packs waiting in the wings. For now, though, the priority will be targeting those crippling technical issues.